Literacy is the ability to use language to read, write, listen, and speak. Speech language pathologists play an important role in the prevention of literacy problems. Our goal is to promote opportunities for success in spoken and written language for children with and without communication disorders. 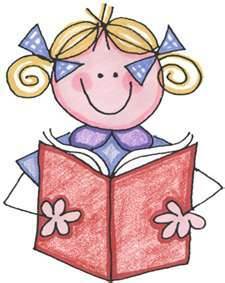 Successful Reading skills depend first on developing Speech and Language skills. Children need to understand that sentences are made of words, and that words are made of sounds before they can be successful manipulating letters to read and spell. It is very important to read to your children and get them to enjoy books! Reading books uses language that is more complete and complex than our conversation. Stories provide vocabulary, sequencing, and an opportunity to listen. Talk with your child about the story and ask them questions such as.... Who is in the story? Where does the story take place? What do you think will happen next? When did certain events in the story take place?